If Moscow is genuinely innocent of all the misdeeds attributed to it, why does it always seem to get the blame? The Kremlin attributes every new allegation to Russophobia. This excuse has proven ideally suited to the varied terrain of hybrid warfare, serving as a one-size-fits-all explanation for virtually any charge. Whether the claims relate to Russian soldiers in Ukraine, Russian trolls on social media, or Russian chemical weapons in England, Moscow dismisses it all as the work of desperate and irrational Russophobes whose obvious prejudice renders their conclusions null and void. The term itself is nothing new and first appeared in the nineteenth century, but references to Russophobia have skyrocketed since 2014. It has become one of the buzzwords of the fake news era and a significant information warfare weapon in its own right. Accusations of Russophobia are most common in the Russian media and official Kremlin parlance. According to the Atlantic Council’s Digital Forensic Research Lab, Russian Foreign Ministry statements mentioned Russophobia just three times in 2013. By 2017, the figure had climbed to 56. What has happened over the past four years to make Russia the villain de jour of international opinion? Some see it as Cold War nostalgia for the good old days of mutually assured destruction. Others claim the West’s military-industrial complex requires a plausible enemy and Russia uniquely fits the bill. Meanwhile, the Kremlin and its media tend to favor the notion of an implacably hostile Western world intent on preventing Russia rising from its knees. This conspiratorial thinking has proven persuasive for domestic Russian audiences and popular among some Western skeptics, but it fails to explain the sheer scope of the multifarious charges leveled at Moscow. Put simply, no conspiracy involving so many actors could hope to succeed on such a global scale. In reality, the current international backlash against Putin’s hybrid warfare has been a long time coming. Russia’s offensive against the West has been slowly gaining momentum for over a decade, but few cared to acknowledge this awkward and seemingly inexplicable reality until it became too brazen to ignore. With Russian billions flooding Western capitals, everyone was far too busy getting rich to question the true intentions of the Putin regime or ponder the implications of the anti-Western poison flourishing inside Russia itself. Nobody really questioned the assumption that modern Russia broadly subscribed to the post-1991 settlement, or considered the possibility that policymakers in Moscow might still approach relations with the West from the zero-sum perspective of instinctive adversaries. Indeed, the idea that the newly capitalist Kremlin would enter into hostilities with the West seemed so outlandish that when Mitt Romney called Russia America’s number one geopolitical foe during the 2012 US presidential debates, he became an object of instant ridicule. Instead, the West preferred to regard each new act of Russian aggression as an isolated incident attributable to the aftershocks of the Soviet collapse. Despite being the largest country on earth and an autocratic empire in all but name, Putin’s Russia found itself cast in the unlikely role of plucky underdog defying the swaggering victors of the Cold War. When Russia crushed Chechnya at the turn of the millennium, most saw it as a regrettable domestic affair. When Putin reinstated the Soviet national anthem and called the collapse of the USSR “the greatest geopolitical catastrophe of the twentieth century,” the West gave a collective shrug. The 2004 poisoning of Ukrainian presidential candidate Viktor Yushchenko and the 2006 polonium attack on Alexander Litvinenko in London went largely unheeded. The Russian cyberattack on Estonia in 2007 was a major wakeup call that hinted at hybrid hostilities to come, but Western leaders preferred to hit the snooze button. Likewise, when Russian tanks rolled into Georgia in 2008, the Kremlin incurred minimal costs. Even the annexation of Crimea and invasion of eastern Ukraine in 2014 failed to produce a decisive Western response. Predictably, this collective failure to confront Russia has spawned ever-more audacious actions. Since the start of the Kremlin campaign in Ukraine, Russia has buzzed US warships, hacked the Bundestag, fanned the flames of separatism in Catalonia, and plotted coups in the Balkans—all the while protesting its innocence and accusing its victims of rampant Russophobia. We may have finally reached a tipping point. Russian attempts to meddle in the 2016 US presidential election appear to have goaded a critical mass of the American establishment into action, while the recent chemical weapon attack on British soil has forced the West into an unprecedented collective response. The expulsion of over 150 Russian diplomats from more than 20 countries is an important symbolic step. It sends a strong signal to the Kremlin that further Russian aggression in any given country could produce a similarly united front. Nevertheless, significant questions remain over the West’s collective resolve to deal with the Russian threat. Numerous EU member states refused to expel Russian diplomats over Salisbury. US President Donald Trump continues to maintain his ominous silence on Putin’s aggressive actions. 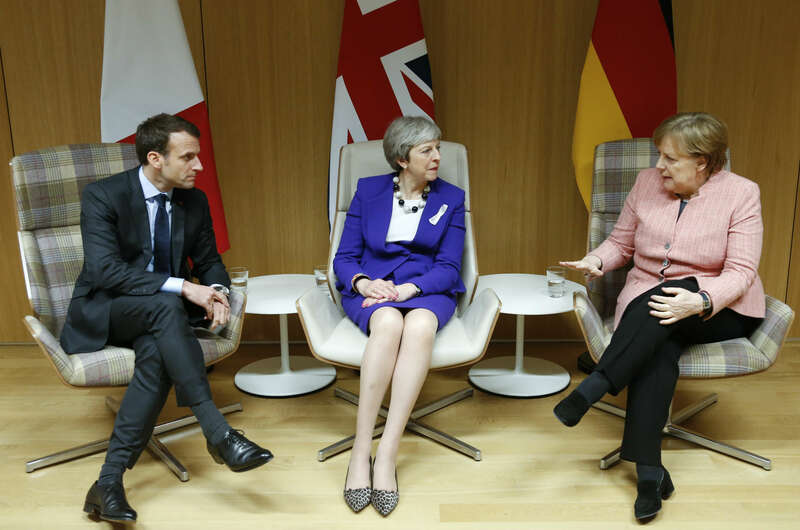 Many European governments face huge domestic pressure for a return to “business as usual” with Russia, while Moscow’s geopolitically loaded economic projects such as the Nord Stream 2 gas pipeline have the potential to divide the continent further. A consensus certainly appears to be forming that Russia is waging a coordinated offensive against the democratic world, but the unity required to counter the Kremlin remains alarmingly fragile. With Putin now secure in power for another six years, Russia will work to exploit signs of division and prevent further collective action as the confrontation enters a new phase. Crucially, while the Kremlin’s hybrid war is still far from being defeated, it is no longer a covert campaign operating below the radar. As a result, Putin may find that the elements of surprise and secrecy so crucial to his earlier successes are suddenly in short supply. Instead, Russia will have to get used to greater scrutiny and a dramatic loss in credibility. Moscow will try to portray this increasingly open international opposition to Kremlin aggression as Russophobia, but it is actually anything but irrational. Russia has given the Western world little choice but to treat it as a hostile nation, and the West has reluctantly agreed. » Russia closed entrance for Canadian "Russophobes" in response to "Magnitsky act"